Shark games are very popular. Basically, in shark games the user gets to play either the role of a shark hunter or a killer shark. 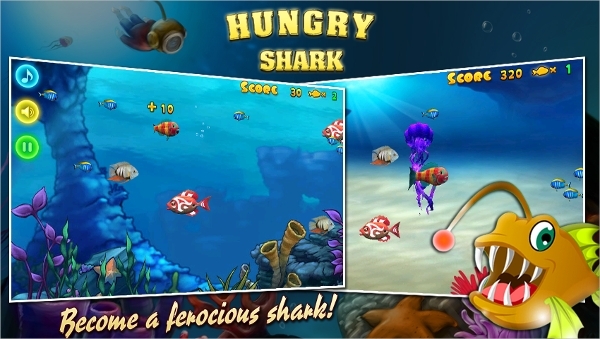 In Hungry Shark Evolution, the user plays as a hungry shark, who’s on a killing spree. The game is also about survival of the shark. 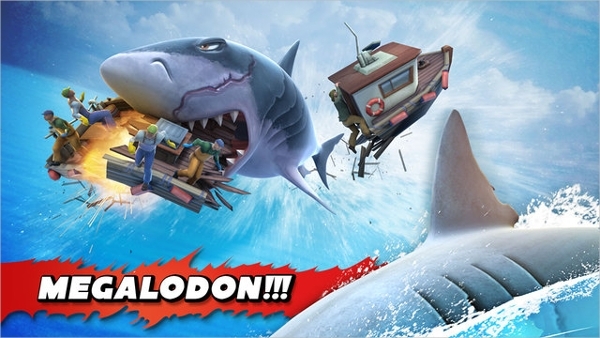 It’s one of the best action-packed aquatic adventure shark game. 3D features and intuitive touch or tilt controls. As many as 12 different shark types to unlock. Let’s equip sharks with different types of gadgets and items. 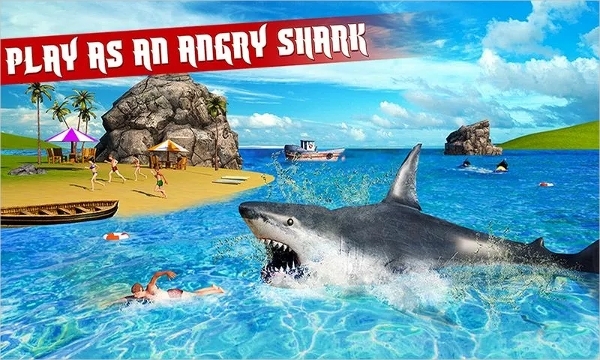 Angry Shark Revenge 3D is an underwater killer shark game. 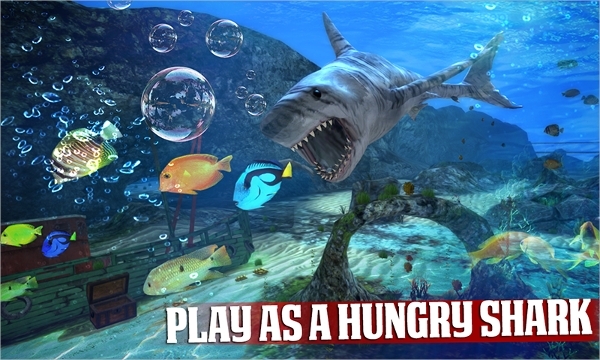 In this game, the user plays as an angry hunting shark, who kills underwater as well as attacks on ships and boats to kill. 18 Exciting missions with beautiful underwater graphics. Awesome 3D environment with cool sound effects. In this Hungry Shark game, the user starts with playing a small baby shark and it eats smaller fishes than itself. The goal of the game is to become the biggest fish in the ocean by eating small fishes and surviving from bigger ones. 20 different exciting challenging levels. Runs very good and performs well on lesser RAM phones. High-quality graphics in small app size. The user is given the control of an angry white shark. The angry white shark in this game is very brutal and is surviving by hunting. The shark has the capability to attack and destroy everything that comes in its way. Different types of animated underwater sharks and other fishes to kill, including scuba divers, swimmers etc. Exciting missions with smooth gameplay and easy controls. Awesome visual and sound effects. 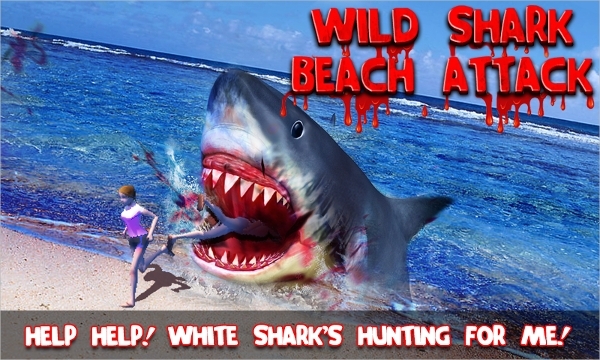 Wild Shark Beach Attack is a fast-paced aquatic adventurous game which requires quick fingers and a keen eye. This game gives control over hungry sharks and unlocked crocodiles, and goal is to survive as long as possible by eating humans. Fast paced action adventurous game. Real shark simulation with unlocked crocodiles and 3D graphics. Intuitive touch or tilt control. 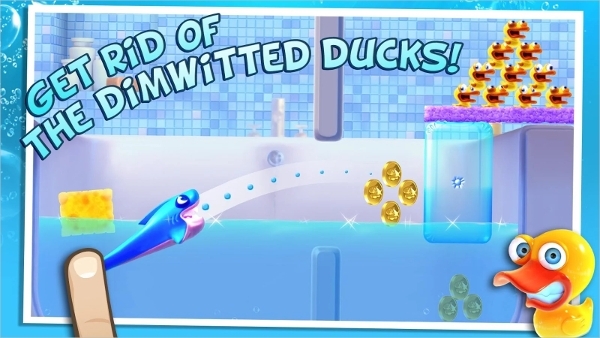 Shark Dash from Gameloft is a fantastic puzzle game. This game’s graphics are quite adorable. It includes characters of sharks, sawfish and ducks. Shark’s appearance can be upgraded by collecting coins. Amazing accessible gameplay. Drag and release controls. Tons of levels to play. 4different environment options to play, from Ancient Rome to Distant Japan. 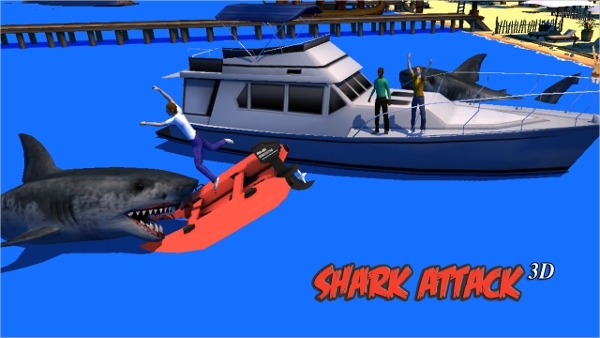 Shark Attack 3D Simulator is a free play simulator type game, which includes missions, challenges, maps and boats with parties on them to attack. Open water maps with whales and day-night full time hunting shark. Excellent sound effects with high-quality 3D graphics with exciting gameplay. Above listed games are the top played and downloaded shark games.